I first discovered the Mountainaire Avian Rescue Society (MARS) during one of their live demonstrations at the Woodland Gardens’ Art & Bloom Festival in 2009. One of the society’s volunteers was on hand to educate the crowd about the rehabilitation work this unique group performs. While MARS holds both federal and provincial permits to allow them to do their work, they are entirely dedicated to rescue, transport, rehabilitate and (hopefully) release wild birds that have been injured through everything from other animals to tragic oil spills. 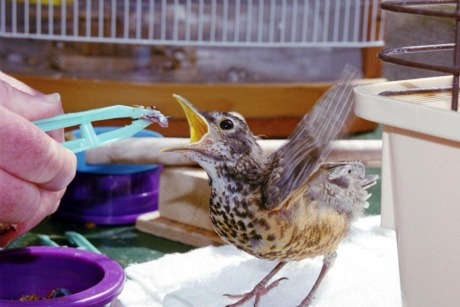 Based out of the Merville area between Courtenay and Campbell River, MARS provides a stress-free environment with intensive care to allow injured birds to fully recover. No bird is too big or small for MARS, with everything from robins and eagles to hawks and owls receiving assistance. Through the hard work of both volunteers and generous donors, MARS is able to continue work that would otherwise be neglected. On the last weekend of February, MARS is proud to host the 6th Annual Bald Eagle Festival in Campbell River. 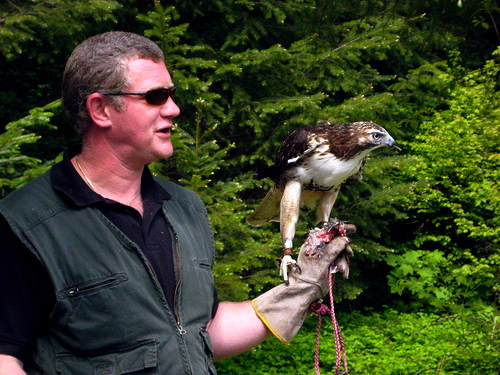 Featuring Doug Carrick – the man behind the world-famous Hornby Island Eagle Webcam – photography, educational displays and demonstrations, guest lecturers and more, the Festival aims to promote the health of the local bald eagle population while focusing on Phoenix, the young Hornby Island eaglet that suddenly died last summer. When: Saturday, February 26th from 10:00 a.m. to 4:00 p.m.
For more information on MARS and the 6th Annual Bald Eagle Festival, please visit them online or on Facebook. You can also follow MARS on Twitter. aw those birds are beautiful.